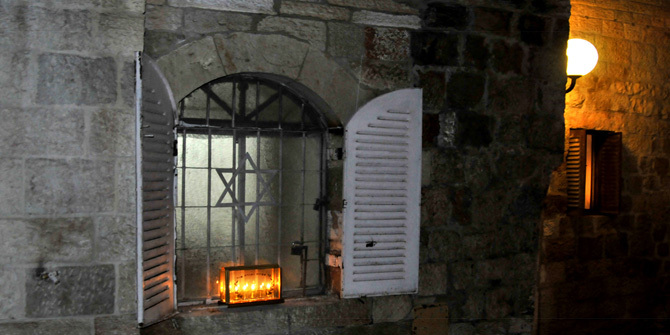 tailored tours and flexible Israel tour itineraries. 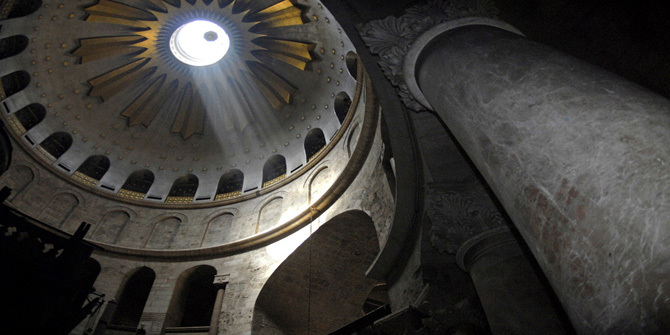 Christian tours of Israel, private Christian tours and tour-guides, tailored tours and flexible Israel tour itineraries. Desert Eco Tours runs Christian tours throughout Israel. 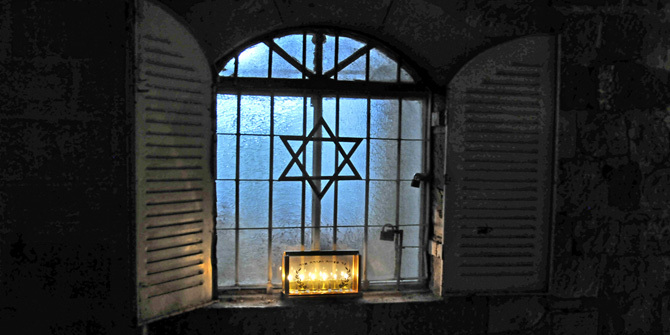 These are not pilgrimage tours but Israel tours with a Christian theme, they cover all of Christianity's main sights and from a Christian perspective. 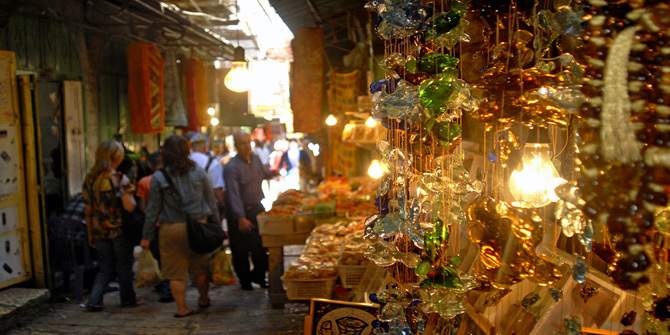 Our tour routes visit the major Christian sightseeing areas, but skip the standard tourist traps to explore the rich cultural diversity existing in Israel today. 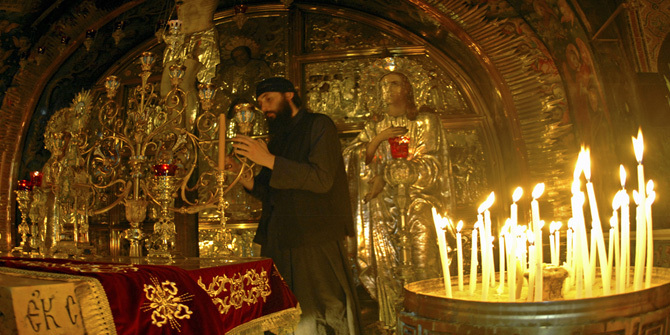 Tours are tailored to suit individual interests but all our Christian tour routes follow a traditional Catholic and Orthodox Christian theme. 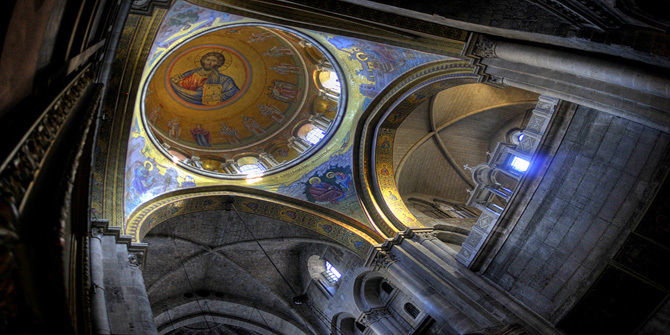 In Israel and its surrounding countries, the major Christian sites are marked by the impressive and decorative churches of the Eastern Orthodox Church (Coptic in Egypt) and Catholic Church. 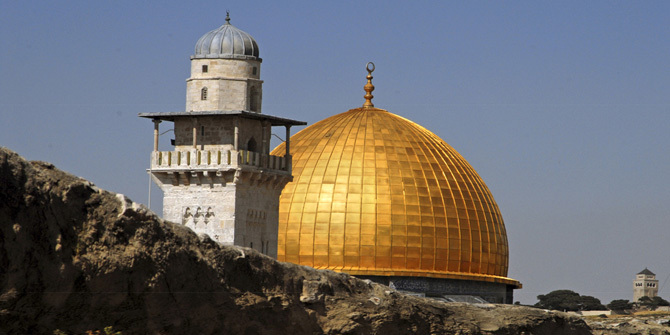 Again these tours are not pilgrimages but are an excellent opportunity for people who wish to tour Israel and take in the main biblical and historic sites, the impressive Christian shrines and the best of Israel's stunning scenery. 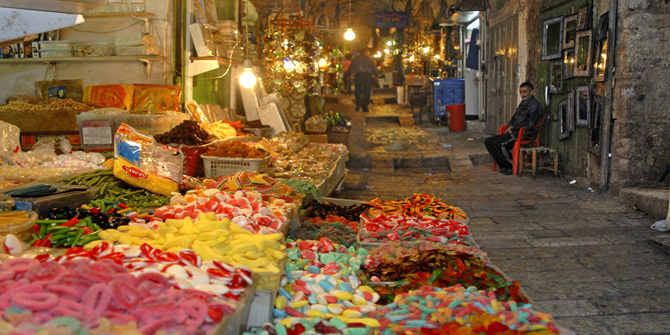 We have many Israel tour itineraries listed on this site but once you are in direct contact with us you will often find suggestions for doing the tour slightly differently, this is according to the preferences of the tour guide selected for the tour and your personal requirements, and it is aimed at achieving the optimum tour experience for each client. You may request a guide specializing in a particular area of interest, bible, nature or history, or perhaps one that's a particularly adept at guiding families with young children. 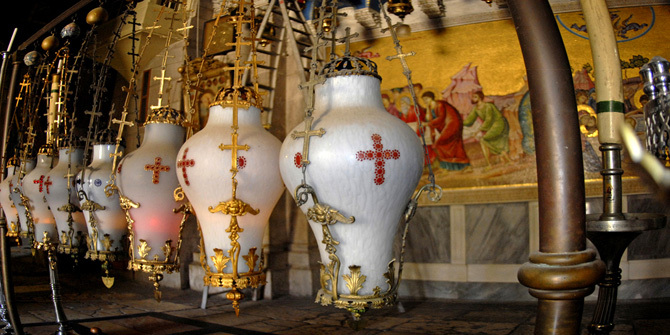 The sample Christian tour itineraries listed here range from 2 days including our selection of Jerusalem tours to over a week in duration depending on tour options taken; they are entirely tailored to client's requirements. 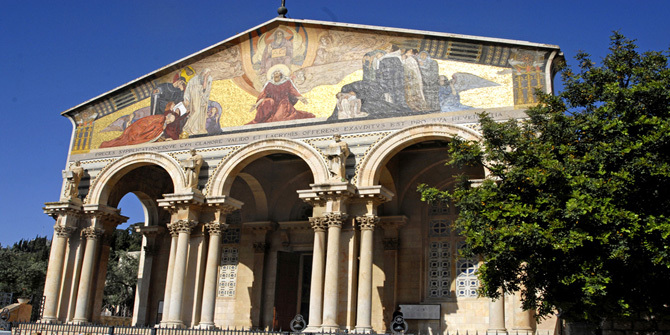 We begin the first day of the tour on the Mount of Olives where we take in the views of the Old city and one of Jerusalem's most renowned churches 'The Church of All Nations', we continue down to the Garden of Gethsemane where we visit the Church of Saint Mary Magdalene. From here we head to the Lions gate where we enter the Old City of Jerusalem. This tour takes us through all four quarters and follows the final footsteps of Our Lord on the 'Way of the Cross'. We begin our tour at the Pools of Bethesda beside Saint Anne's and just a short walk takes us to the first Station of the Cross. 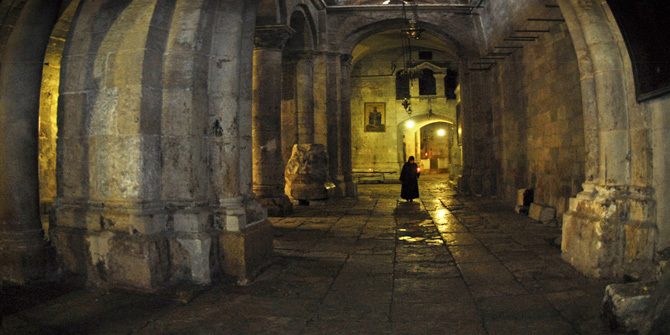 The 'Way of the Cross' takes us through the Arab quarter into the Christian Quarter and ends at Christianity's most important Church in Jerusalem, the Church of the Holy Sepulcher. The Church is built on the Hill of Calvary and within it's imposing walls we find the final five stations of the Cross, including the Tomb of Jesus and numerous chapels marking the crucifixion. We enjoy a break for lunch within the Old City before continuing our tour on to the Western wall where we also see Jerusalem's famous Dome of the Rock, situated on the Temple Mount. We make our way from here back to our vehicle and drive to Mount Zion where we visit the Last Supper room and the Church of Dormition dedicated to our Lady. From here we Head to Nazareth where we spend the night. The second day we begin our tour at the main Christian sights of Nazareth including the Church of the Annunciation, Mary's Well and Joseph's Chapel. We drive from here to the Shores of the Sea of Galilee and Begin our tour at Capernaum, the village on the shores of Galilee where Jesus spent much of his preaching years. We visit here the ancient Synagogue and the see the house of Saint Peter set in the ancient remains of scenic Capernaum. A short drive from Capernaum and we reach the Mount of the Beatitudes where the Sermon on the Mount was given. We take a stroll through the gardens before visiting The nearby Orthodox Church of the Apostles. We visit the Church of the Bread and Fish at Tabgha where an ancient mosaic marks the famous site of one of the most fish and bread lunch before making our way back to central Israel for tour completion. Day one - touring the main Christina sites of the old City of Jerusalem before heading to Ein Karem (Judah) where we spend the night near the Church of John the Baptist. Day two - Following breakfast we tour the Old village of Ein Karem (spring of the vineyard) set in the scenic Jerusalem countryside. This is an important site for Christians, it is the birthplace of Saint John the Baptist and we visit the imposing Church dedicated to him and the famous spring in the village center, before we make our way to Nazareth. 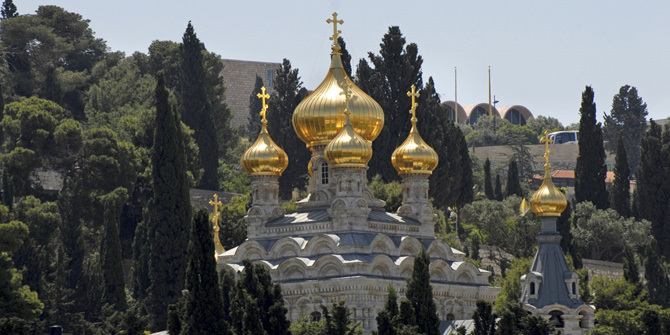 In Nazareth we visit the Church of the Annunciation, Mary's Well, Josephs and Saint Raphael (Orthodox). We stop for lunch before making our way to Galilee. We begin out tour of the major Christian sites at the Village of Cana and its Church that marks the site of Jesus first miracle of turning water into wine. We make our way from here to Mensa Christi and the Church of the Miracle of the Bread and Fish at Tabgha. Day three - following a hearty breakfast we begin our tour of the Shores of Galilee. We visit Capernaum, the village which is frequently mentioned in the bible as the home of Saint Peter and where Jesus spent a great deal of his preaching years. The remains of this village are set against the backdrop of the Sea Of Galilee and we tour all the main sites before we make our way the Mount of the Beatitudes (Sermon on the Mount) and the nearby Christian Orthodox Church. We enjoy a bread and fish lunch and a short boat trip on the tranquil waters of the Sea of Galilee before we make our way up to the ancient village of Safed (Tzfat) where we visit the old synagogues, here we complete our tour and head back to Central Israel. Day one - we begin touring all the main sites of Christianity in Jerusalem. Starting on the Mount of Olives including all four quarters of the Old City and ending on Mount Zion. 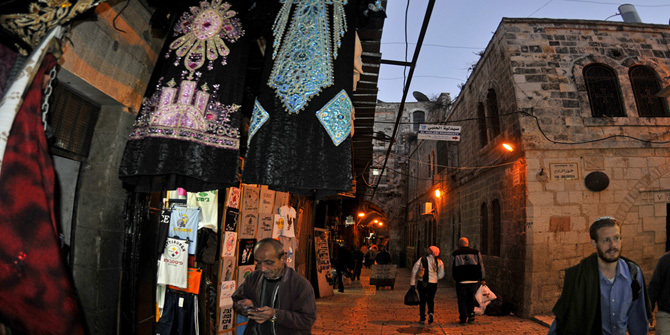 We spend the night in the biblical 'City of Judah' birthplace of John the Baptist in the scenic Jerusalem hills. Day five - after exploring the main sites of Ein Karem including the Church of Saint John the Baptist we make our way to Nazareth via Har Megiddo, (Armageddon). We take in the famous views over the valley of Armageddon and hear about the dramatic history of the area before we reach Nazareth where again we tour the main Christian sites before settling for the night in a local hotel. Day six - Following breakfast we begin out tour of the Galilee area in the village of Cana, here Jesus performed his first miracle. We visit the Church of the Bread and Fish marking his most renowned miracle. On the Shores of Galilee we visit the Church of Mensa Christi, the remains of the village of Capernaum where Saint Peter lived and where Jesus spent much of his teaching years. From here we make our way to the Mount of the Beatitudes where the Sermon on the Mount was given and the visit the nearby Orthodox Church. We Head up to the ancient village of Safed in the hills of Galilee where we spend the night in local accommodation overlooking the Sea of Galilee. Day seven - We make our way through the picturesque upper Galilee to Akko and tour the fascinating historic sites including the Crusaders Citadel and the underground chambers of the Knights Templar, the Christian Knights Templar were warrior monks who protected the Holy sites in Israel and offered protection to the early pilgrims during the Middle Ages, they also played an important role in the Crusader armies. We continue our tour to the scenic Mount Carmel where and down to the Mediterranean coast to the ancient Roman - Byzantine port city of Caesarea Maritima. Caesarea played a hugely important role in the history of Israel particularly during Roman rule and we find here the best preserved examples of Roman architecture and its famous port. Much of Caesarea was constructed under the rule of King Herod an inscription of Pontius Pilatus has also been found in the Amphitheater linking him with the city. 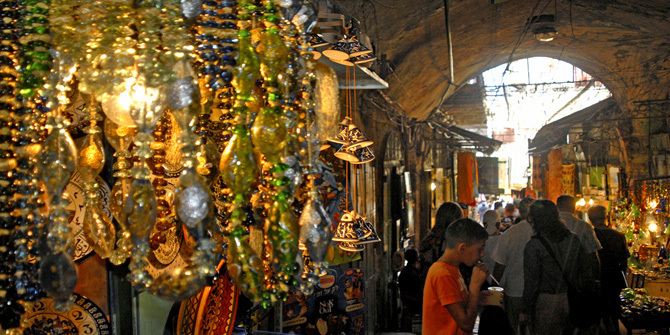 We make our way south to Tel Aviv and Old Jaffa, here we visit the historic port and its famous sights including the house of Simon the Tanner, here in Jaffa we complete our tour and make our way back to central Israel. These Israel Christian tours may be extended to include other historic and natural highlights of the area including the Negev desert, Masada, Dead Sea, Petra and Cairo tours. Day 1 - we start our tour of Israel on the Mediterranean coast at the ancient port town of Jaffa. We visit the impressive historic attractions and Christian sights such as the house of Simon the Tanner and the Church of Saint George. We drive to Caesarea Maritima, where we can see much of Israel's most impressive Roman architecture, excellently preserved over the 2,000 years since its construction, we visit the main historic sites including the harbor and the Amphitheater. King Herod, Caesar Augustus and Pontius Pilate are all associated with Caesarea. We continue our drive along the Mediterranean coast to Mount Carmel we enjoy the picturesque scenery and visit the Christian Carmelite monastery and Elijah's Cave. Our tour continues on to Akko (Acre), where the fascinating sights include the Christian Crusaders Citadel and the port. 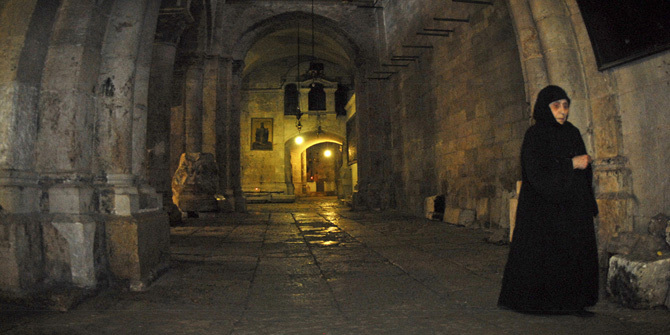 We visit the secret chambers of the legendary Knights Templar, the legendary Christian warrior monks who played a critical role in the Crusader Battles that raged in the Middle Ages, they secured the Christian sights and gave protection to the Pilgrims from Europe venturing to them. Our tour leaves the coast for the hills of Galilee. Overnight in the area of Galilee. Day 2 - Most of Jesus' teaching years were spent in the Galilee area and it was here that most of his Apostles lived. We tour the village of Capernaum on the shores of Galilee whose ancient ruins contain the house of Peter, it is known that Jesus visited Peter and here that sick people came to visit him here in the hope of being cured. We tour the fascinating ruins of the village and take in the splendid views of the Galilee. Our tour continues on to The Mount of the Beatitudes Where Jesus gave his famous Sermon on the Mount, we visit the Orthodox Church of the Apostles, Mensa Christie and the Church of the Bread and Fish at Tabgha. Day 3 - We start the day in Cana, where Jesus turned water into wine at a wedding, and continue to Nazareth here we visit the Christian sites of the Basilica of the Annunciation, the Greek-Orthodox St. Raphael church and Mary's Well. We Continue to Har Megiddo and the valley of Armageddon. We continue our tour south to Jerusalem where we spend the night in the Jerusalem hills in the Biblical 'city of Judah', known today as Ein Karem. This quaint village was the birthplace of John the Baptist and we visit the Church of Saint John the Baptist and the famous spring in the village center. Day 4 - we start our tour of Jerusalem on The Mount of Olives, we visit the Garden of Gethsemane, The Church of all Nations, all four quarters of the Old City, The Western Wall, The Stations of the Way of the Cross, The Church of the Holy Sepulcher, the Hill of Calvary, Jesus Tomb, The Last Supper Room, and Mount Zion. Day 5 - we leave Jerusalem for the Dead Sea and Masada. We stop en route at Qumran where the Dead Sea Scrolls where discovered. From here we head to King Herod's famous desert fortress, we ascend by cable car to the top of the dramatic cliffs overlooking the Dead Sea. We tour the site taking in the magnificent views and haunting history. When we have finished touring Masada we head back down to the Dead Sea shores to enjoy a dip in the healing waters and get caked in the rejuvenating Dead Sea mud. We take in the sunset over the Dead Sea and enjoy the colors of the Jordan Mountains beyond. Here, older and wiser but looking a good ten years younger, we complete our tour and head back to central Israel. We can tailor any of the above itineraries to suit travel schedules, interests and budgets.